So Gene Simmons and Shannon Tweed are finally tying the knot? Is this a real marriage or do you think they've simply run out of ideas for their reality show? 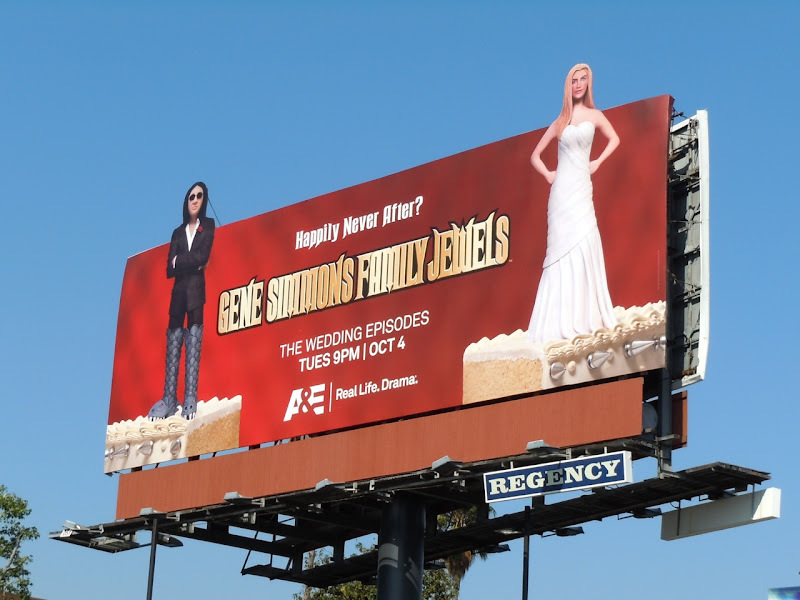 Regardless of the real reason, love or the love of ratings, it makes for a fun billboard creative for Gene Simmons Family Jewels. This eye-catching wedding cake billboard was snapped along Sunset Boulevard on September 9, 2011. If you love this ad, be sure to check out model maker George Herman's behind-the-scenes photos of how he created the sculptures of the show's stars atop the cake for this billboard. 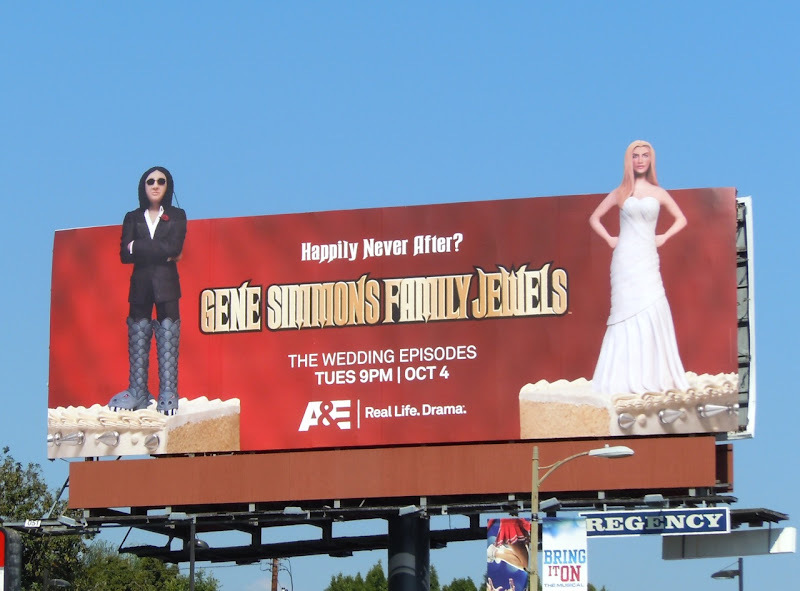 If you're a fan of the series then you can also check out these other Gene Simmons Family Jewels billboards.